The regional theoretical and practical conference “Ahmad-haji Kadyrov as a prominent social, political and religious leader and statesman of modern Russia” started on May 7 in Grozny. According to KavkazWeb, it is organized be the Ministry of foreign relations, national politics, press and information of the Chechen Republic. The members of the Chechen government and parliament, eminent Chechen and Dagestan politicians and scientists participate in the conference. 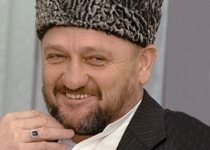 According to the Shamil Saraliev, the Chechen minister foreign relations, national politics, press and information, the Victory Day has been bearing a particular bitter discourse during the last 5 years, as it was the very day when the first President of the Chechen Republic, Ahmad Kadyrov, tragically died. “We remember our religious leader, who used to say that his primary goal was not simply holding the war, but ceasing it completely. Now he is gone to another world, but being a faithful Muslim he performed a number of God-pleasing deeds. Indeed he left invincible. He had always been with his people, so he will remain in our hearts forever”, said the Minister. To add, the Vice-Speaker of the Chechen Republic, Idris Usmanov, as well as the president of the Chechen Academy of Science, Shahrudin Gapurov and the Head of the Constitutional Court of the Chechen Republic, Sultan Abdulkhanov, also attended the conference and worked out reports on the conference relating issues. Islam RF (courtesy of KavrazWeb).